The fifth generation (5G) telecommunications network aims not only to enhance traffic performance and allow efficient management, but also to enable it to dynamically and flexibly adapt to the traffic demands of different vertical scenarios. In order to support that enablement, the underlying network procedures (i.e., network functions) are being virtualized and deployed in cloud-based environments, allowing for a more optimized usage of the infra-structure resources. In addition, such resources can be sliced, allowing isolated provisioning to specific network functions allocated to disparate vertical deployments. As network slices are envisaged by network operators to fulfill a small number of slices, able to cater towards essential 5G scenario demands (i.e., enhanced mobile broadband, massive machine-type communications and ultra reliable low-latency communications), the total amount of slices existing in a system is currently dictated by the underlying operational overhead placed over the cloud infra-structure. This paper explores the challenges associated to a vision where the network slicing concept is applied with a much greater level of granularity, ultimately allowing it to become a core mechanism of the network’s operation, with large numbers of co-existing slices. In that respect, this paper proposes an architecture framework for instantiation of network slices among network providers, which in turn are able to instantiate sub-slices tailored to use cases and vertical tenants. The evaluation of this concept is done following a two-pronged approach: firstly, different slice dimensions (i.e., from micro to macro) are proposed and discussed, pointing out the benefits and challenges of each proposed slice; secondly, we deployed a mobile network provider (MNO), using OpenAirInterface and FlexRAN frameworks, and experimentally evaluated the its slicing mechanisms. The objective is to provide insight on the challenges and impact associated with the deployment of an increasing amount of slices, using the same available infra-structural resources. This work is funded by FCT/MEC through national funds and when applicable co-funded by FEDER PT2020 partnership agreement under the Project PTDC/EEI-TEL/30685/2017, and by the Integrated Programme of SR&TD SOCA (Ref. CENTRO-01-0145-FEDER-000010), co-funded by Centro 2020 program, Portugal 2020, European Union, through the European Regional Development Fund. 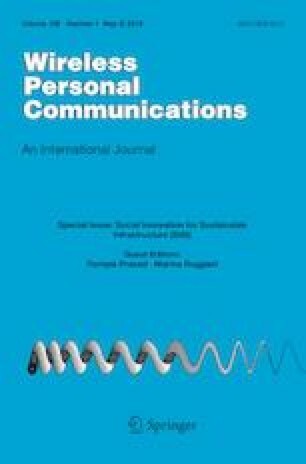 The experimental validation of this work included usage of the FlexRAN software from “Mosaic-5G”, a EURECOM registered trademark (INPI No. 17 4 357 904). Logota, E., Corujo, D., Jeon, S., Rodriguez, J., & Aguiar, R. L. (2015). The 5G Internet. In J. Rodriguez (Ed. ), Fundamentals of 5G mobile networks, https://doi.org/10.1002/9781118867464.ch2. European Telecommunications Standards Institute (ETSI). Network functions virtualisation (2012). https://portal.etsi.org/nfv/nfv_white_paper.pdf. Accessed Mar 2019. Open Network Foundation (ONF). SDN architecture (2014). https://www.opennetworking.org/images/stories/downloads/sdn-resources/technical-reports/TR_SDN_ARCH_1.0_06062014.pdf. Accessed Mar 2019. Telefonica’s new open source edge project cuts 5g network slices into strings. Accessed October 6, 2018, from https://www.sdxcentral.com/articles/news/telefonicas-open-source-edge-project-cuts-5g-network-slices-into-strings/2018/04/?utm_source=SDxCentral.com+Mailing+List&utm_campaign=61702cf34b-SDxCentral+Newsletter+2018-04-27&utm_medium=email&utm_term=0_c2b6e504a2-61702cf34b-82025313. How many network slices are needed? Accessed October 6, 2018, from https://cloudblog.ericsson.com/digital-services/how-many-network-slices-are-needed. Derakhshani, M., Wang, X., Le-Ngoc, T., & Leon-Garcia, A. (2015). arXiv preprint arXiv:1508.03554. Guo, K., Sanadhya, S., & Woo, T. (2014). ViFi: Virtualizing WLAN using commodity hardware. In Proceedings of the 9th ACM workshop on Mobility in the evolving internet architecture (MobiArch '14) (pp. 25–30). New York: ACM. https://doi.org/10.1145/2645892.2645893. Xia, L., Kumar, S., Yang, X., Gopalakrishnan, P., Liu, Y., Schoenberg, S., & Guo, X. (2011). Virtual WiFi: Bring virtualization from wired to wireless. In Proceedings of the 7th ACM SIGPLAN/SIGOPS international conference on Virtual execution environments (VEE '11) (pp. 181–192). New York: ACM. https://doi.org/10.1145/1952682.1952706. Wang, Q., Alcaraz-Calero, J., Weiss, M. B., Gavras, A., Neves, P. M., Cale, R., Bernini, G., Carrozzo, G., Ciulli, N., Celozzi, G., Ciriaco, A., Levin, A., Lorenz, D., Barabash, K., Nikaein, N., Spadaro, S., Morris, D., Chochliouros, J., Agapiou, Y., Patachia, C., Iordache, M., Oproiu, E., Lomba, C., Aleixo, A. C., Ro-Drigues, A., Hallissey, G., Bozakov, Z., Koutsopoulos, K., & Walsh, P. (2018). In 2018 IEEE international symposium on broadband multimedia systems and broadcasting (BMSB) (pp. 1–5). https://doi.org/10.1109/BMSB.2018.8436800. Sarkar, S., Becker, C., Kunz, J., Sarbhai, A., Annasamymani, G., Kasera, S. K., & Van der Merwe, J. (2017). Enabling WiFi in open access networks. In Proceedings of the 4th ACM workshop on hot topics in wireless (HotWireless '17) (pp. 13–17). New York: ACM. https://doi.org/10.1145/3127882.3127889. FlexRAN. Accessed September 30, 2018, from http://mosaic-5g.io/flexran/.